This bundle is brilliant for kids, it contains 60 coloured pencils and 60 felt tip pens for an incredible price. The Case Set of Faber Castell Connector Pens are perfect for those who like to draw and build. 60 Colours with strong tips, broad easy to grip barrels and superior ink with Non toxic washable water-based colours. Special "Click Seal" helps prevent drying. These clip markers help to keep the pens neat and tidy but the fun part is you can also use the connector pens to create and make 3D models as the caps connect to the pen barrels and caps. 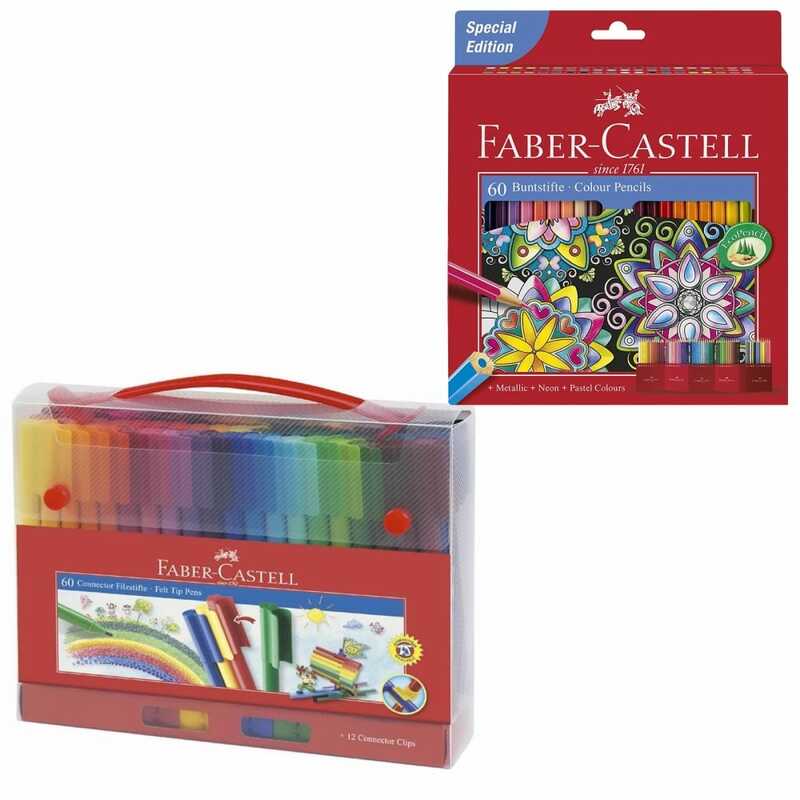 Faber-Castell’s 60 colour pencil selection is specially created for children. Create beautiful vibrant pictures with these colouring pencils. They have a hexagonal shape for added control when colouring, while the leads are made with a special bonding technique to reduce breakage. These are a true EcoPencil made from 100% FSC re-forested wood.